Address: Stephenson Way, Euston, London, Greater London. Opening hours: Hours Vary due to events. 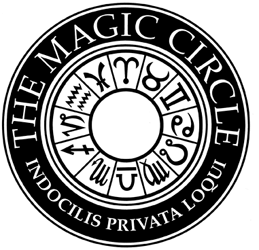 Please Visit their main website http://www.themagiccircle.co.uk/ for more information. Today, magic is becoming more and more a performance art. You watch magic shows hoping to be thrilled not only by the magic but also by the suspenseful music, the glittering costumes, the sparkling lights and the rest of the props and set. The Magic Circle Museum reminds us of some of the true stars of magic – the intricately-designed equipment. 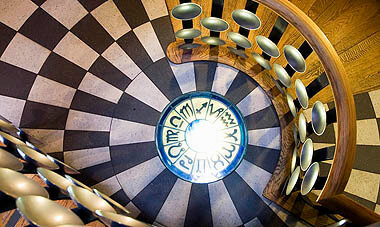 A British organisation, the Magic Circle Museum was founded in 1905. It is located in London. Its main mission is to promote stage magic as an art. It was founded after 23 magicians, of both amateur and professional calibre, met up and thought that such an organisation would benefit magicians. They liked the fact that Magic Circle’s initials are the same as that of Martin Chapender’s. David Devant was the first president of this magic organisation. For several decades, the Magic Circle consisted of only male magicians. In 1991, more than three quarters of the members believed it was time to admit women. Today, there are about eighty female magicians in the circle. While the magicians meet together to talk about how they could further promote magic, they have also promised not to reveal their secrets to the public. The Magic Circle Museum showcases magic artefacts such as those used by illusionists and magicians. Included in the museum, as well, are magic tricks, posters, photos, programs, props and toys. Specifically, some of the items that you will find in the museum include rifles from Maurice Fogel’s “Bullet Catch”, the robes of Chung Ling Soo, television magicians’ props and more. You may be interested to know that the Harry Potter franchise had a hand in increasing the number of magician members in the organisation. After the first Harry Potter film was announced in 2001, the membership actually doubled. Suddenly, magic had become a lot cooler than it was before. The museum is undoubtedly an interesting place to visit what with all the magical and mysterious that it offers on display. 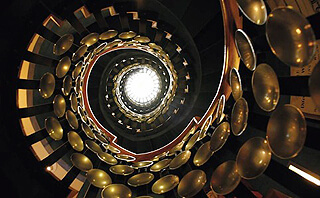 A visit to the Magic Circle Museum is recommended not just to people who are planning to pursue a career in magic but also to people who would like to be awed by magical tricks. Here is the time to suspend your disbeliefs to fully enjoy what the museum has to offer. To arrange a guided tour, you have to contact the organisers. You can ask all of your questions, regarding the cost, hours and more.